I would like to clarify and follow up on my March 22 post, “Pay Attention,” which described the trouble I had after losing my driver’s license during a recent flight to New Jersey. The last paragraph mentioned that my license arrived three days after I returned home, which was not intended to mean the original license, but instead, my replacement license. Before I left to return home, my sister bet me one dollar that within a year, I would receive the lost license in the mail. She was confident that a Good Samaritan would return it to me. I took the bet, and I am happy to report that I lost that bet. One week after leaving New Jersey, I received an envelope in the mail with the return address of an unknown sender containing nothing but my lost driver’s license. On the inside flap was a brief note stating, “I found it in the airport,” followed by a telephone number. The name was illegible, so I tried locating the sender by address, but alas, the address is that of an apartment, so there is no tax records pointing to the owner of a residence. I only know that their first name begins with a “J.” So that night, I sent a text to “J”, thanking him/her for returning my license and stating that his/her action showed that there are still some very nice people in the world. We “chatted” for a few minutes, and not knowing where the loss had occurred, I asked “J” where my license had been found. I was informed that it was discovered at Newark Airport, Terminal A, which told me that it must have happened after I left the plane and was probably on my phone looking for the details regarding my car rental. My license had been left in the same pocket as my cell phone. Apparently, “J” works at the airport, and he/she told me that he/she got what he/she wanted, which was to hear back from me and know that I was happy. When I responded that “J’s action made my day, he/she said, “Win the Powerball and give me a dollar.” I agreed that we would meet somewhere, in disguise, for the transfer of the cash. I am rarely so happy by a mail delivery. Thank you mystery worker at Newark Airport. It is now less than five weeks until our last family wedding, and as the mother of the bride, I feel like I need to have a new outfit for this momentous occasion. I am confident that wearing my favorite jeans will reseult in a few bad comments and shocked looks. Hanging in my closet is my backup ensemble, which is a cute little jumpsuit that I recently purchased on a whim, not knowing until that moment that they had made a comeback. A jumpsuit had not been part of my wardrobe since 1992, but because of the inherent problem when going to the little girl’s room, I have not removed the tags. Knowing that the bride is a Disney fan, I thought she would love this idea. She told me a blonde braid would be needed, and I assured her that, of course, the Elsa outfit came with both the braid and the blue gloves. Oh, to be a three-year old! Writing a book has made me crazy and obsessive about scrutinizing all my book stats: how many pages have been read today; how many books, if any, have been purchased today; is anyone reading my blog today; are there any new reviews; and what is my current Amazon ranking. 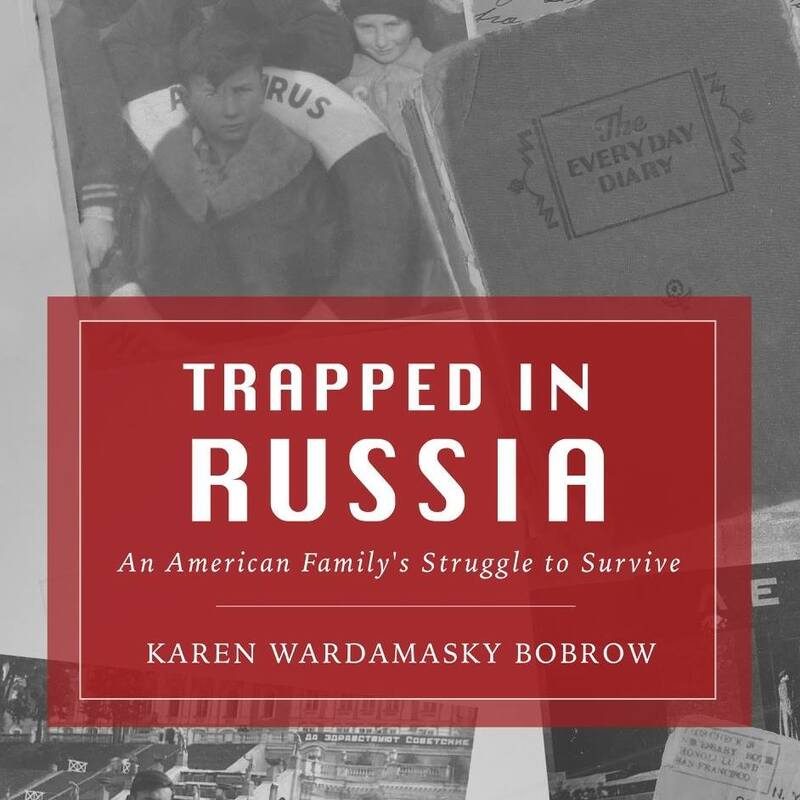 Although I always said that I did not set out to write my book for anyone outside my family, that all changed once I realized that strangers have taken an interest in learning the tale about what happened to my family after they moved to Russia during the 1930’s. As someone who loves numbers, when I learned about all the statistics available to me, I have been unable to stay away from the charts and rankings. I just can’t help myself. I am able to see, at a moment’s notice, these ever-changing numbers. I learned this week that rankings are generated in several ways. I can view my overall ranking both in the physical book (#3,348,446) and the Kindle version (227,501 —up 94,854 positions today). I feel happier when I view my rankings with similar books. In the Kindle store, my book is ranked #51 under Historical Russian Biographies, #224 under History of Russia and Former Soviet Republics, and #224 under Historical Russia Biographies. I don’t understand the difference between Historical Russian Biographies and Historical Russia Biographies, but hey, statistically it’s a difference of 173 points. I know the paperback has been purchased in the UK and Canada, and when I offered free downloads, readers in Australia and Denmark joined my “fans” in the UK, Canada, and the good old USA. I am flattered. While my sales are not enough to alter my lifestyle, the interest is still more than I ever dreamed. Unfortunately, I have only garnered nine reviews and nine ratings, ranging from 2 stars to 5 stars. I have to admit that I am thrilled to read the reviews, particularly those from strangers. Loved this book!!! It’s incredible to think that these things could happen to anyone, let alone American citizens, and there was nowhere for them to get help! Extending the time for a background check from three days to five and also to decrease the time required to report such things as issuances of restraining orders, protective orders, and convictions of domestic violence. Permitless carry, which would allow people to carry loaded handguns in public without a concealed-carry permit or a background check. My small group of three tracked down our House representative, who was in agreement with our issues. He invited us into the Democratic Caucus meeting (upsetting because it was Clemson day which meant applauding our arch rivals), and although the Moms group is not a political group, that fact was mentioned and we agreed to go in order to promote our message. While we were trying to locate our senator, many of the other Moms were introduced from the gallery of the State House Legislature. Again, the point was to draw attention to the issue to all of our legislators. We are all aware that many uniformed people believe this is an anti-Second Amendment group, but I learned early on that many members of this group are gun owners. The purpose is to emphasize common-sense laws to protect people against gun violence and to keep guns away from individuals with violent backgrounds, severe mental issues, and convicted felons. It was a successful day, and I look forward to a time where our job is no longer needed. Will that ever happen, I wonder.